Querfurt castle has been a location for fairytale movies many times. 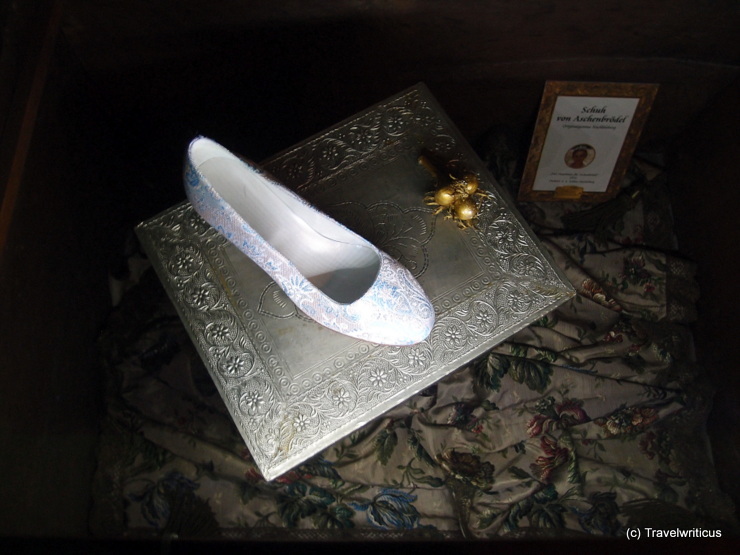 At the time of my visit, an exhibition displayed props of movies taken on the grounds of the castle. At the Forum Kunst contemporay located in rooms of the former Millstatt Abbey I came across an exhibition with works created by Deborah Sengl. 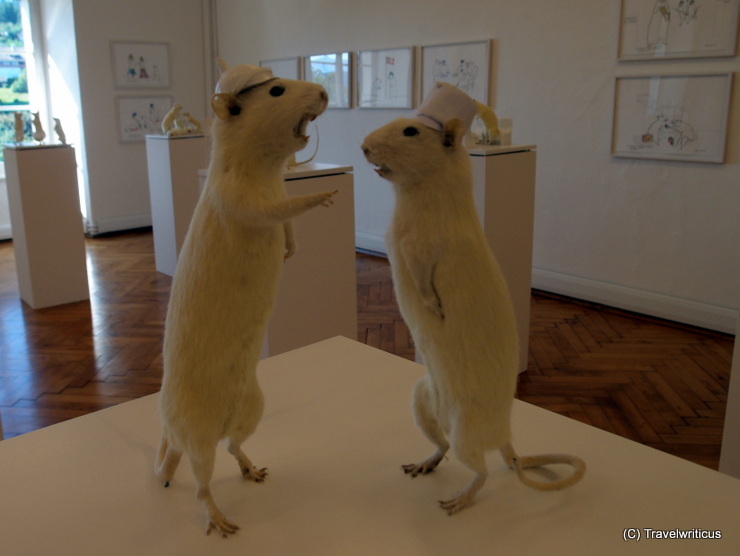 In these works she shows the plot of the theater play ‘The Last Days of Mankind’ (Die letzten Tage der Menschheit) written by Karl Kraus using the bodies of rats instead of figurines of humans. The project ‘Windows for Peace’ is going to show 150+ peace heroes in the windows of lanes located next to the Museum of Peace. 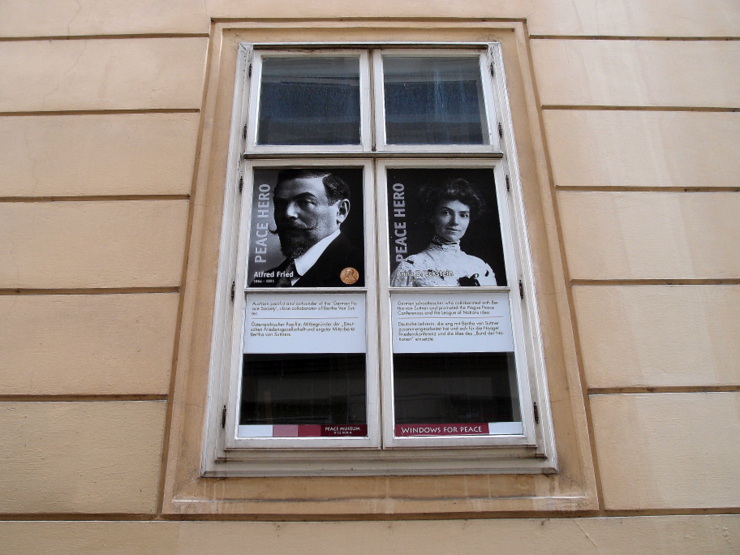 You can find the Museum of Peace in the Blutgasse 3, 1. District. 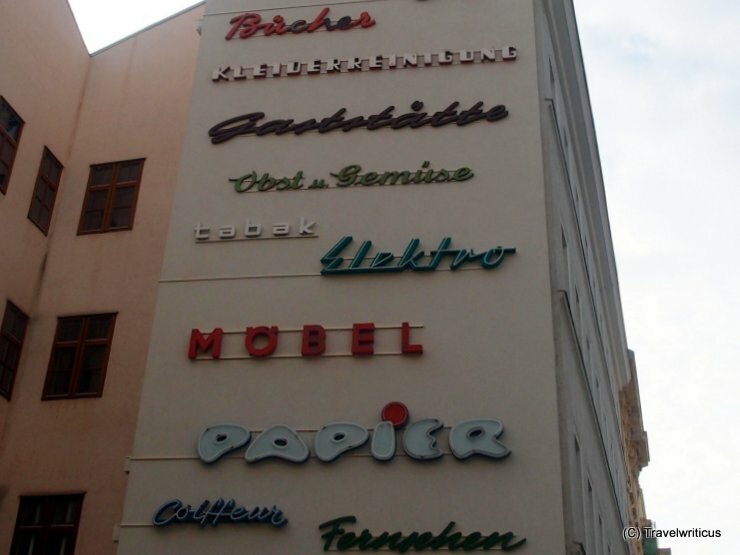 Stadtschrift, an association for the collection, preservation and documentation of historic facade signs created this open air exhibition at a fire wall in Vienna. I love the idea to show them in public instead of a presentation inside a hall. So we can see these signs in a way we used to do on our walks to school or job in earlier times. At the Rosgartenmuseum I visited an exhibition which told about the life in Constance in the years of the council. 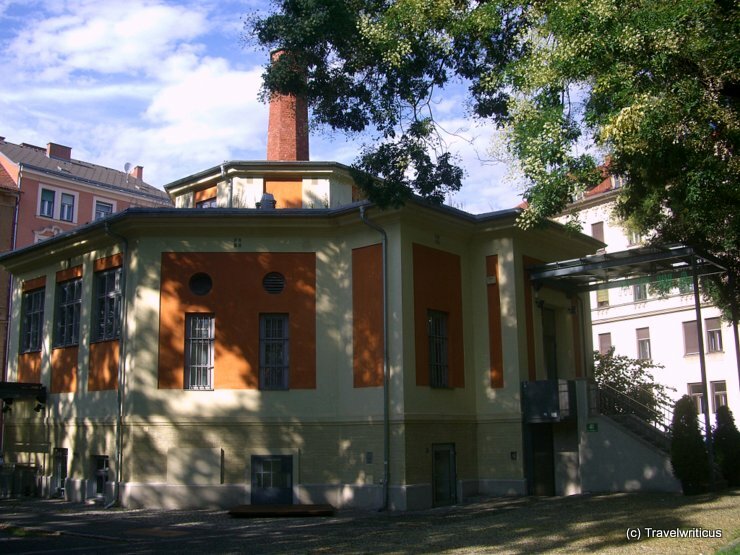 At this museum there is also a copy of a chronicle exhibited which is considered as the main source about the live around the council: ‘The Chronicle of the Council of Constance by Ulrich von Richental’. 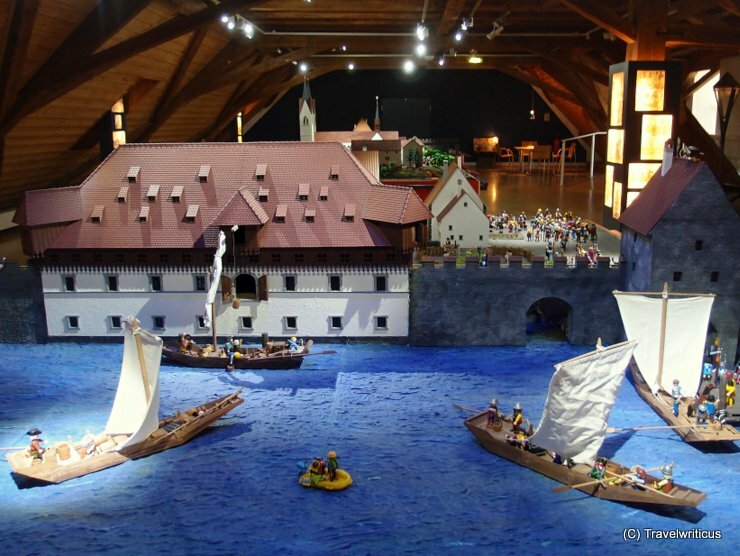 Every year at the State Museum of Archaeology in Constance an exhibition takes place in cooperation with the toy company Playmobil. 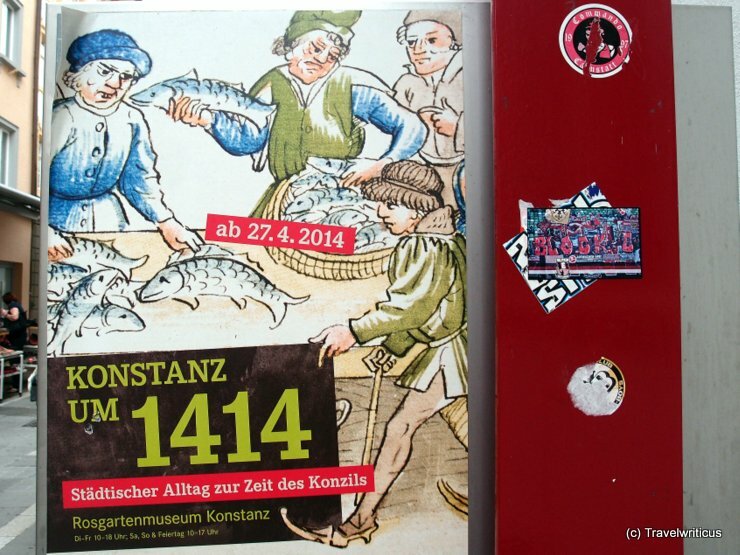 In 2014 the Council of Constance (1414-1418) was the topic of the exhibition with the title ‘Voll bis unters Dach‘. Every year another interesting art project take place at the Gasometer (a former gas holder) in Oberhausen. 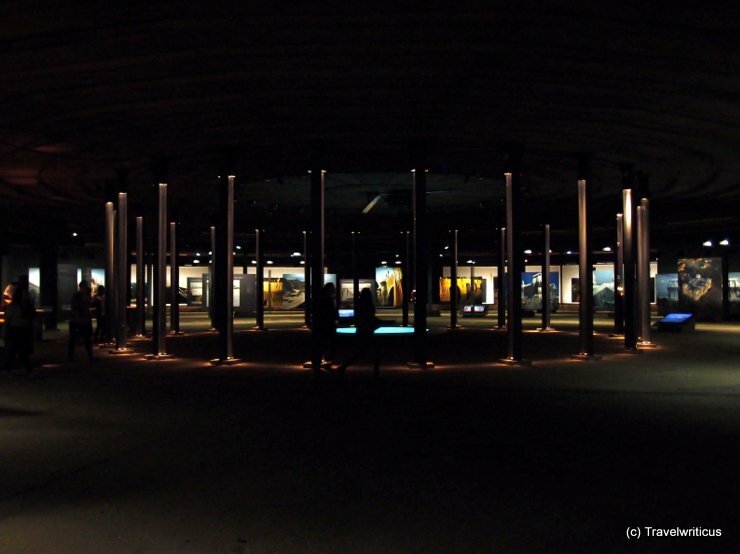 In 2013 I visited the ‘Big Air Package’ created by Christo. This time the artist, which is generally known for wrapping huge things, produced a kind of balloon filling the inside of the gas holder. 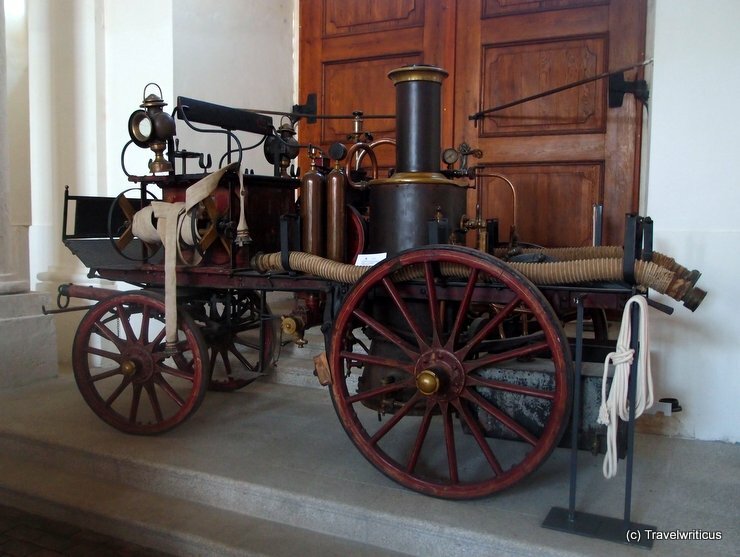 An an exhibition at Stift Geras (Geras Abbey) I saw this steam powered fire pump dating back to 1911. 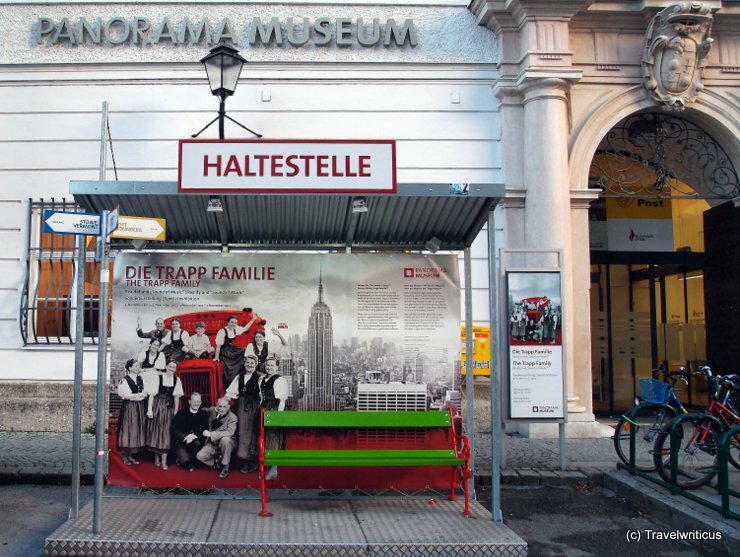 It was used by the fire brigade of the Austrian city of Horn. Tonight I visited the opening of an exhibition with a work by the German artist Hasso von Henninges named ‘5 Farben’ (5 colours). In this work the artist displayed all possible combinations if you mix 5 colours in paintings made of 3 colours (example).